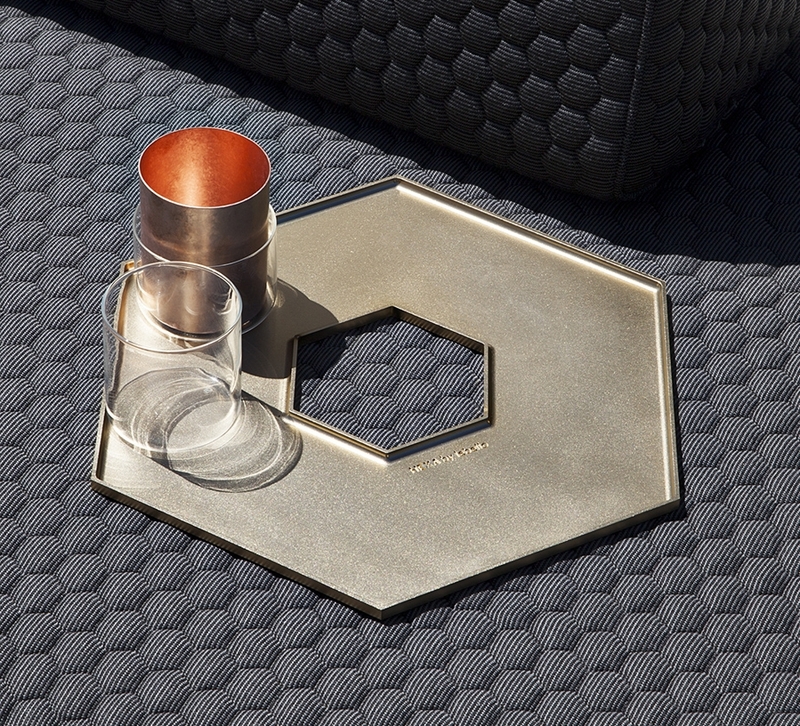 The Hexa Tray comes in a hexagonal shape giving a contemporary feeling, with a luxurious solid clear alu base or in a brass, copper, black hardware. 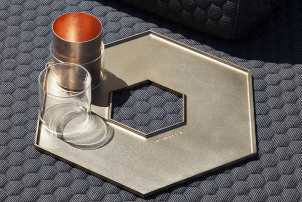 The outdoor tray is available in two sizes, allowing numerous stacking possibilities. Luxurious precious hardware in clear alu, brass, copper, or black. 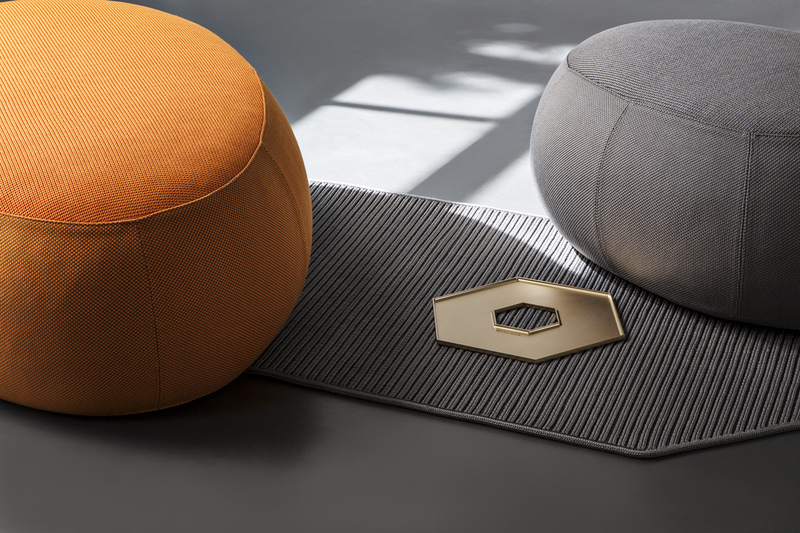 About the Hexa Tray and Hexa Mini. Please download the cut sheet for further information.